BRATTLEBORO—Buying in bulk is a smart way to stretch the family dollar. In that spirit, a national program called Solarize brings together neighbors interested in installing residential solar power projects. The idea goes that the more who buy in, the less the system costs everyone to install and use. According to Tad Montgomery, principal of Home Energy Advocates, the price of solar panels has come down considerably in recent years. Soft costs such as permits and installation, however, constitute more than half the budget of establishing such a solar power system. Solarize focuses on reducing those costs through bulk purchasing and installation. 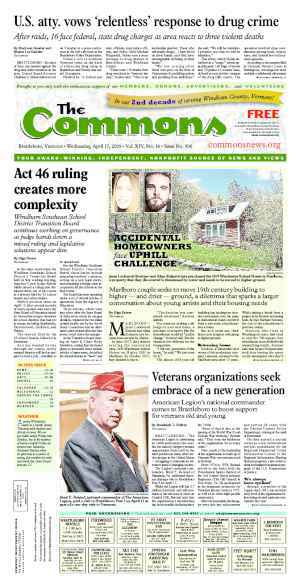 Home Energy Advocates is partnering with national company Real Good Solar (RGS Energy) to offer the Solarize program to towns in Windham County. Volunteers publicize and organize Solarize campaigns and help identify partner installers. The installer offers discounted rates based on the number of viable projects in the program. The installer can offer lower rates, said Montgomery, because he or she knows up front how many systems to install, can buy in bulk, and can schedule installation crews. Solarize brings motivations such as a tiered cost structure, he said. The more people who sign up, the lower the project costs. Solarize also takes advantage of federal subsidies. “With Solarize, a town signs up to participate and, when over 50 kilowatts of solar energy are installed in that town (roughly 10 households), the price for each system drops from an already super-low price even lower,” Montgomery wrote on his website for Home Energy Advocates. The price drops further at 100 kilowatts and 150 kilowatts installed, he said. Should a town see 250 kilowatts installed during the Solarize period, RGS Energy and Home Energy Advocates will donate a solar PV system to be installed on a public school or municipal building, wrote Montgomery. The discounts, however, have a time limit, he added. The clock ticks as additional motivation. In 2008, Montgomery said, installing a residential solar system costs $9 to $13 per watt. Though systems’ costs have fallen in recent years, Solarize projects can help reduce costs further — to about $3.80 or less per watt. With the right bank loan, homeowners can pay down the system at about what they pay to their utility company today, he added. “Now could be a solar sweet spot,” said Montgomery. According to Montgomery, some solar project costs may increase in the next few years, and some subsidies may expire in 2016. “So act now,” he said. One possible cost increase depends on whether the United States imposes trade tariffs on China, explained Montgomery. Almost all solar panels are made in China. Panel costs are low because Beijing subsidizes their manufacture, said Montgomery. Should the United States impose tariffs later this year, costs of panels will jump up about 10 cents to 20 cents per watt, he predicted. Also, in 2016, federal subsidies of 30 percent of project costs are due to expire. “One of the reasons that I chose RGS Energy to launch Solarize Windham was their determination to transition to all American-made components that they use and install,” said Montgomery. Montgomery has worked with the Windham County Solarize campaign to add a community solar component. By taking advantage of Vermont’s net metering laws, community members whose homes may not sit in places with adequate solar exposure can buy into a community-owned solar array and receive a discount on their electricity bill. Last October, during a forum on community solar, RGS Energy approached Montgomery about launching a community solar Solarize project. Daniel Hoviss, of Putney’s ad hoc energy committee, launched a Solarize campaign with a community solar component. Unfortunately, the community solar aspect of the Putney campaign didn’t bear fruit, Montgomery said. Montgomery said Brattleboro, Dummerston, Newfane, Westminster, and Windham are considering the Solarize project. 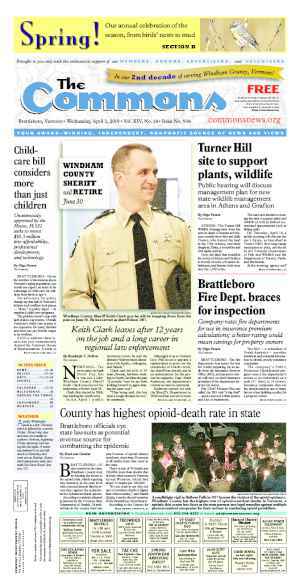 Other towns in Windham County Montgomery is pursuing include Grafton, Guilford, Marlboro, Rockingham, Townshend, Whitingham, Wilmington, and Vernon. Montgomery stressed that for Solarize initiatives to be successful, they need the town’s blessing. 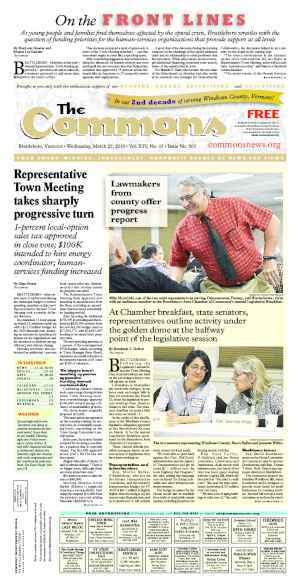 To that end, Montgomery has reached out to many town energy committees or other departments in the region. While the town doesn’t need to do anything else in support of a campaign, having knowledgeable volunteers from the energy committee lends the campaign focus and credibility. Montgomery said he has also reached out to most of the local solar installation people in the area to see if they’re interested. The return on investment for installing solar is 8 percent to 13 percent, he said. He asked rhetorically, “Who can get that guarantee in the stock market” and do good in the world? Pete Edling has participated in five Solarize campaigns, including early initiatives in Portland, Ore., where the program started. He now lives with his wife in Guilford. Edling is the energy broker for RGS Energy. He said outreach for a Solarize project can take about three months. Installation can take another three to four months. He said local organizers aren’t trying to pressure anyone into going solar. Instead, he said, Solarize gives homeowners valuable options, as solar represents a long-term investment. He said panels are backed by a 25-year warranty and add to a home’s resale value. He also acknowledged solar can deliver sticker shock. If homeowners plan to move from their home in less than five years, this might not be a good investment. “Each Solarize project can be structured differently,” he said. An average residential system in Vermont uses 5 kilowatts to 6 kilowatts. He said most participating homeowners will see their electricity bill “drop 100 percent.” That said, Edling cautions result may vary depending on the home and on occupants’ energy consumption. Edling recommends interested homeowners schedule solar site evaluations. Solarize says its campaigns have proved successful in metropolitan areas nationswide, and that experience shows rural areas bring unique challenges in terms of scaling the project so that everybody wins. One goal behind the campaign, hosted by Vital Communities (VC), a nonprofit organization based in White River Junction, is to determine if a program like Solarize works for rural areas. VC’s campaign is part of a two-year initiative for which the organization received support from the John Merck Fund and an anonymous donor to coordinate the program. The initiative is almost through its first year. VC is a 20-year-old organization that evolved from discussions with the League of Women Voters about regional issues. 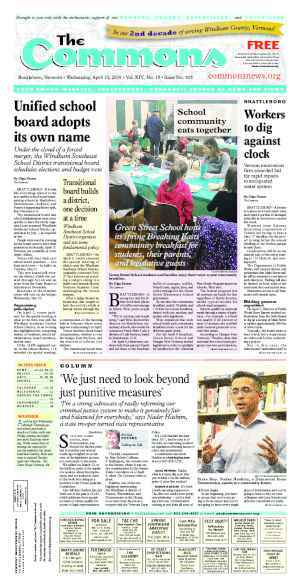 The discussions revealed that the Upper Valley region, which includes areas of New Hampshire and Vermont, needed a single organization to bring communities and programs together. VC Energy Program Manager Sarah Simonds said five of the towns VC serves signed on to the VC Solarize campaign. Each town selected its own partner installers. According to its website, 120 homes went solar as a result of VC’s recent spring Solarize campaign. The organization wrote that the new installations represent 640 new kilowatts of power for the Upper Valley and a reduction in the region’s carbon emissions of 552 metric tons — equal to taking approximately 116 cars off the road. And Simonds described a rigorous selection process. The campaigns had about 15 weeks of outreach. Across the five towns, 11 percent of the residents signed up for site visits. Three percent decided to go solar, she said. People approach solar with a lot of preconceived ideas, she said. Solarize has helped clarify the facts: “We’ve done all we can do to make their first step as seamless as possible,” she said. Simonds said one strength of the VC Solarize project is its transparent pricing structure. Anyone considering installing a system can see at a glance, on VC’s website, how much such a system would cost. And cost is still “a big barrier” to residential adoption, she said. She also noted Solarize’s most important aspect has been in getting prospects through the door. The hardest first step for most people, she said, is deciding to explore the solar option. The outreach portion of Solarize helps building community trust, she said. The deadline built into the program also motivates buyers, Simonds said. At least half the inquiries came in from the community the weekend before the Monday deadline. She characterized a sense of energy and momentum around the program that motivated people to make a decision. VC and the interested towns used a request for proposals process to identify partner installers for each town, said Simonds. RFPs to seek out community partner installers is important because it can be hard to choose installers — especially when they may come from your own community, she said. Homeowners can work with other installers should they want, Simonds added. Meanwhile, she said, VC intends to conduct three rounds of Solarize campaigns, and looks forward to the initiative getting even more people talking about weatherization and other energy issues, she said. Originally published in The Commons issue #266 (Wednesday, August 6, 2014). This story appeared on page A1.